From today, film fans in Hamburg can experience blockbuster films in the world’s largest screen format, whilst enjoying the luxurious comfort of electrically adjustable recliner seating. UCI Wandsbek is the first IMAX® cinema hall in Hamburg and the whole of Northern Germany. With IMAX, UCI offers a new type of cinema experience, outstanding in terms of quality and comfort. Cinema guests can enjoy the IMAX cinema hall with 249 seats – each an electrically adjustable luxury leather chair. A first not only for the Hanseatic city, but for the entire German cinema market. 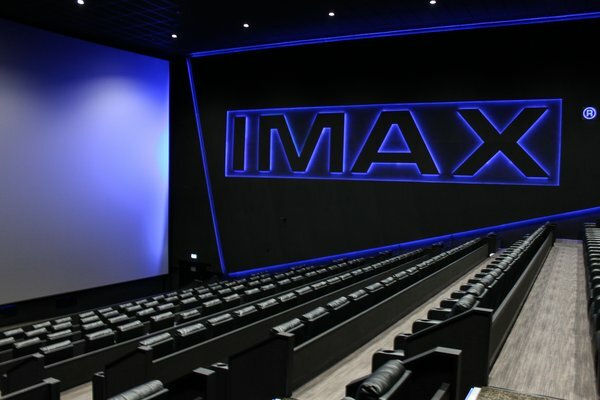 Exclusively at UCI Wandsbek, guests can experience IMAX's unique image and sound quality on an almost 230 square meter screen that also fills the peripheral view. Annika Meier, general manager at UCI Wandsbek said: "I am very excited to open the first IMAX cinema hall in Hamburg and look forward to the reactions of our guests. Guests can recline as much as they are comfortable, with a lot of space and legroom offered. And then it all starts, and you enter a completely different world. An overall great experience." The opening period will feature a mix of blockbuster movies. All films in the IMAX cinema are digitally reworked using the special IMAX DMR® (Digital Re-mastering) process to match IMAX's image and sound quality. The first Marvel-hit Avengers completely shot with IMAX cameras: Infinity War will once again hit the screen in Wandsbek in IMAX 3D. Following UCI Bochum, UCI Wandsbek is now the second UCI location with an IMAX cinema hall. IMAX offers moviegoers an immersive cinematic experience and the opportunity to experience the biggest blockbusters like never before. The pioneering IMAX projection system delivers crystal-clear images. Combined with IMAX's tailor-made cinema design and powerful digital sound system, it creates a unique environment in which the audience can feel as if they are part of the movie. In IMAX, you’re experiencing a different movie altogether: everything from the movie itself to the theatre’s technology and design is developed and customized to make you believe you’re part of the action. IMAX works directly with filmmakers to enhance the movie using its Digital Re-Mastering® process, which delivers superior picture and sound quality. Played through IMAX’s state-of-the art projection system, the resulting images are so lifelike and crystal-clear you forget you’re in a theatre.